The 2016 Mercedes Benz C450 AMG Sport is not as aggressive as the Mercedes Benz C63 but it does have its own charm. The new C450 AMG vehicle will be a head turner because of its striking looks that translate into speed and style. It is not strictly the C-class Mercedes but still high on style. Undoubtedly, it belongs to the C-class range but it is not as spectacular as the C63 version. It has similarity with the C400 model. Hence, if you are looking for something totally different in the C-class then you may be disappointed. However, if you are not the typical sports car lover, you might appreciate the laidback features of the Sport. The special exterior feature that distinguishes it from other vehicles is its front grille. It has a mesh in diamond pattern. The majestic Mercedes emblem is right in the middle and from behind a single horizontal runs through it. If you have closely seen any of the AMG bodykit C-class vehicles, you will know from where this AMG Sport got its bumper. Branding has been done well with plenty of AMG badges on the side. The five-spoke wheels with shiny finish add class to it. 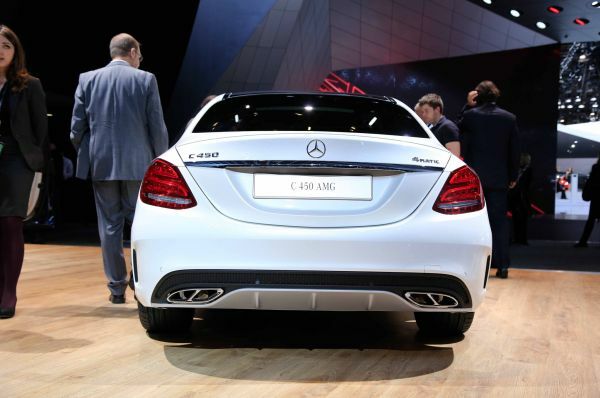 The rear of the 2016 Mercedes Benz C450 AMG Sport has exhaust pipes that bear resemblance to the ones in C63. The red stitching on the seats will steal your gaze right away. The upholstery of the 2016 Mercedes Benz C450 AMG Sport will be smooth to the touch, as it will be covered in either Artico (faux leather) or Dinamica (microfiber). The interior of the doors will also be draped in the same material. Overall, this German vehicle looks cozy, if not spacious. As highlights, the safety belts are in red while the floor mats are in black. 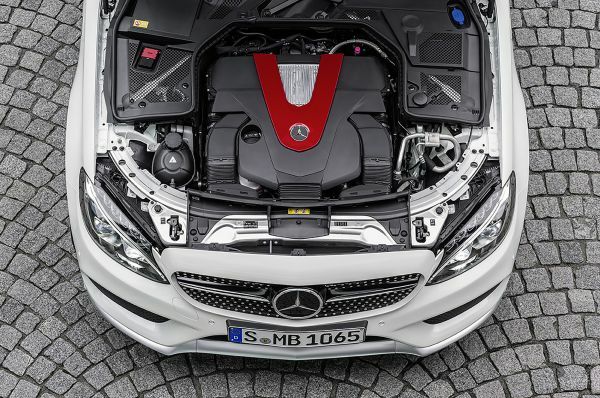 The power promising V-6 engine will supply 367 hp with 384 pound-ft. of torque. It is equipped with twin-turbocharged technology and supersedes the Audi S4 engine by 31 hp. You can trust its performance, as it has the suspension elements (front and rear) as exceptional are C63. Moreover, you will be able to extract performance based on your preference by choosing any of the modes: Sport, Sport Plus, Individual, Eco, and Comfort. It will be all-wheel drive and will reach acceleration of 62 m/h in a matter of 4.9 seconds. 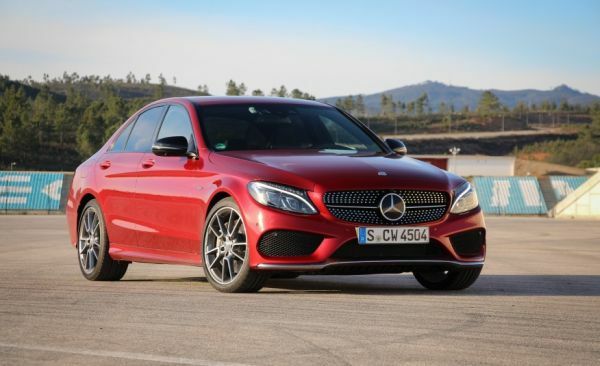 Its base price for new Mercedes Benz C450 AMG 2016 will be $52000. It should be available in the showrooms around the middle of 2015. The AMG Sport is a nice option for you if you prefer stylish vehicles. If you do not compare it with Mercedes C63, it is a nice car both exterior and interior wise. Wait until it comes for sale because the 2016 Mercedes Benz C450 AMG Sport is worth your attention.